What is Eternal, (Olam) Life? 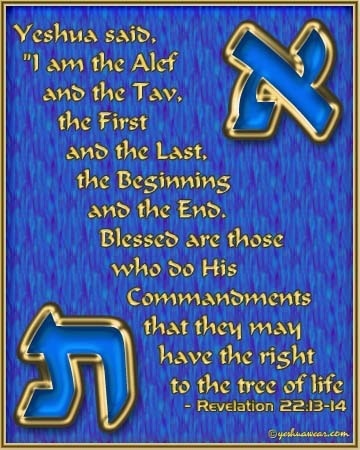 Who Will Inherit the Eternal, (Olam) Land, (Eretz)? That’s right, the Humble are Those Who Turn From Doing Bad and do Good. So What Land, (Eretz) Lasts Forever, (Olam)? We All Know it’s not this Earth, (Eretz), It’s only Temporary. Only YHVH’s Word/Promise/Covenant is Eternal, (Olam). YHVH’s Eternal, (Olam) Word Became Flesh and Dwelt With Us. Y’shua is YHVH’s Eternal (Olam) Word.